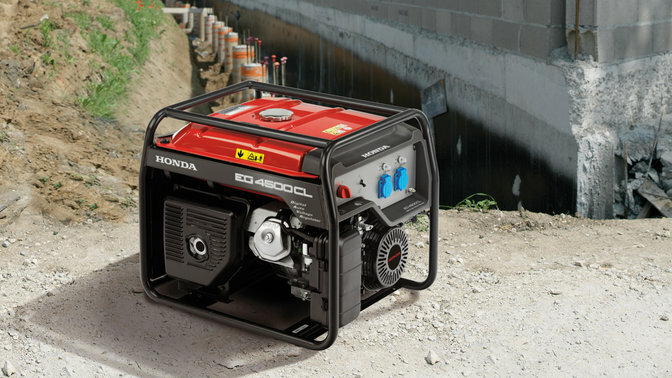 The new Honda EG range is designed specifically for the professional user to provide unrivalled reliability and performance needed for most commercial and rental applications. The all new Digital AVR has the ability to detect and react to fluctuations in output voltage providing cleaner power which gives the stable output needed to run such equipment as lighting without causing that annoying flickering. Dual Voltage 115 / 230 volts. Ideal for running 110 volt power tools or standard 230 volt appliances. Digital Auto Voltage Regulator (D-AVR). Long run fuel tank for extended run times. Rubber engine mounts greatly reduce operating noise and vibration whilst maximising frame life. These generators keep on working, so you can too. They have running times equal to a day’s work. hey have an easy fill fuel cap so you don’t end up spilling fuel everywhere – there’s no mess with a Honda. And the fuel cap lets you check the fuel level without you needing to remove it – so you save time, too. With running times of between eight and 12 hours they become reliable companions that are ready for work any day of the week. Once they’re up and running they’ll cope with any demand you make of them, reacting to any fluctuations in load. First of all, make sure it’s a genuine Honda. Just because it’s red, doesn’t mean it’s a Honda. High standards come at a premium, so don’t trust anyone who tells you they’ve got a product that can do the job just as well. These Endurance high-performance generators are versatile and have 230V sockets for a variety of different power tools. It’s good to know you can trust the output from these generators, which is produced through a Digital Automatic Voltage Regulator (D-AVR). It’s a major improvement on traditional AVR and provides a much smoother, more efficient output for sensitive electronic equipment, delivering a stable wave of clean power (above left). 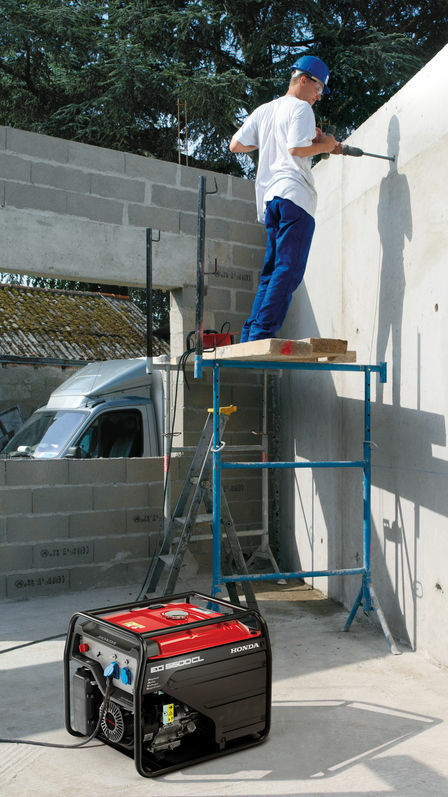 It will put an end to flickering lights, which makes them ideal for emergency night work, too.